From Left to Right: 5 to 5.5 oz. 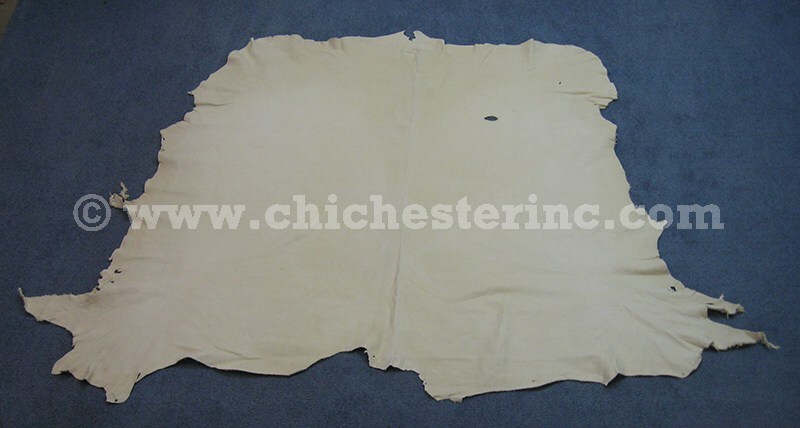 Natural Buffalo Leather, Buffalo Leather Tannery Run:White 5 oz. The buffalo leather is sold by the hide. 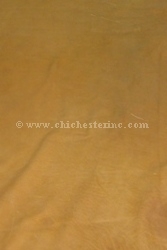 Each hide is marked with its size. 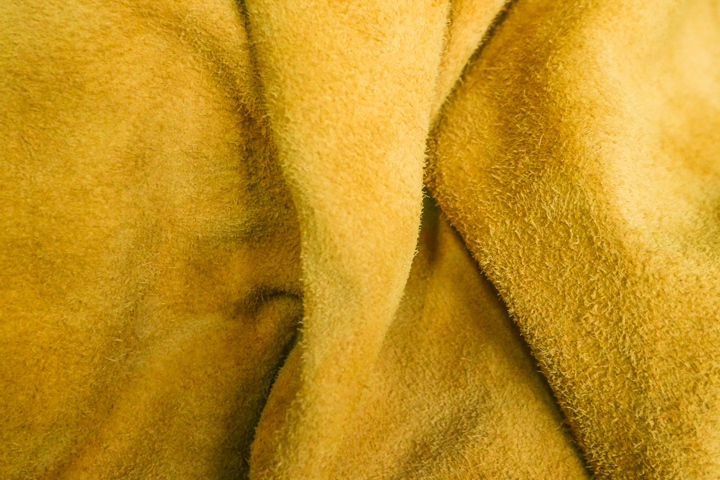 The natural hides average between 18 square feet and 28 square feet or larger. 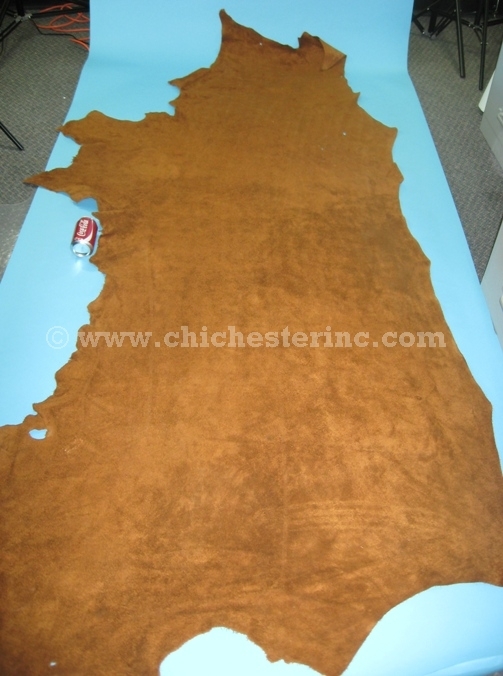 We can usually select either small, medium, or large hides according to your wishes. 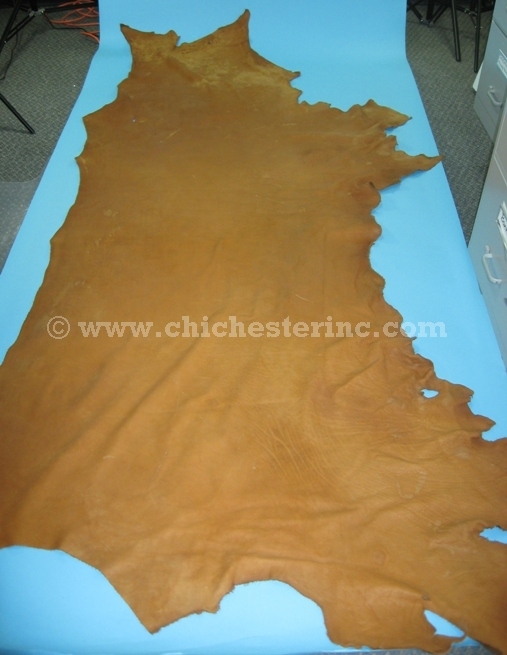 We will not, however, cut hides to measure or select just the best hides. 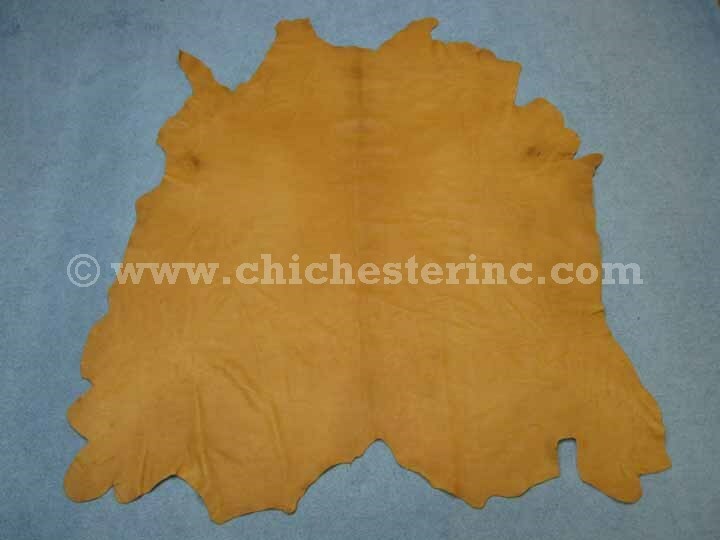 These skins are full grain or top grain leather. They are NOT just splits. 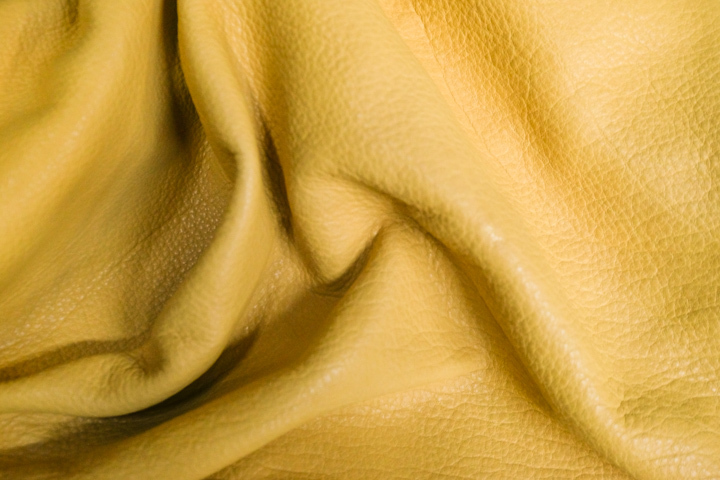 The texture is rougher than deerskin or moosehide. 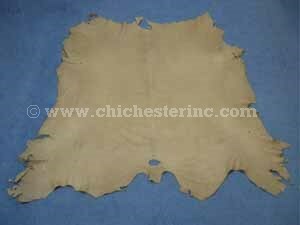 The skin also stretches less than deerskin. 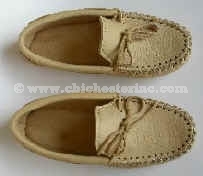 Colors range from a beige/cream to a milk chocolate brown depending on availability. The 5 to 5.5 ounce skins are strong and therefore ideal for making moccasins or other crafts requiring a heavier leather. Usually, the larger the skin the heavier it will be. 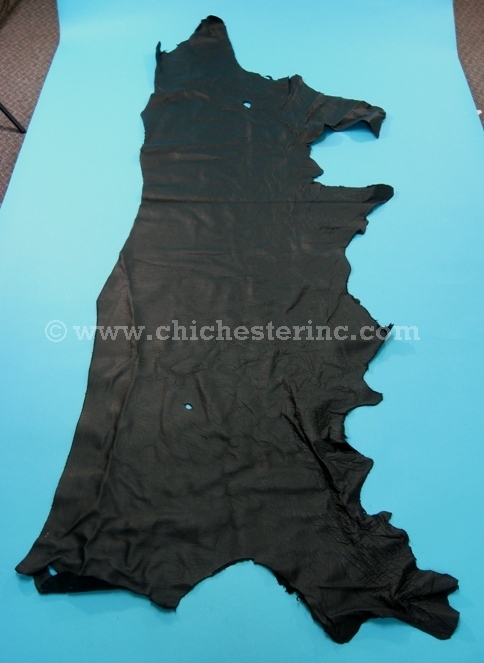 The 3 to 3.5 ounce skins are a garment-weight leather. R-334-TR-3 3 to 3.5 oz. R-334-TR-4 4 to 5 oz. R-334-TR-5 5 to 5.5 oz. The natural hides average between 18 square feet and 24 sq. ft. The 5 to 5.5 oz. tannery run leather can be used to make Buffalo Hide Moccasins. This 4 to 5 oz. 34.5 sq. 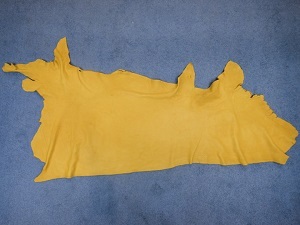 ft. hide is 57.75" long by 66.25" wide and weighed 7.86 pounds. R-334-TR-BK3 3 to 3.5 oz. 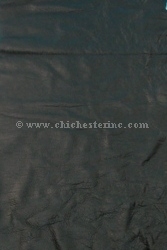 The black hides range in size from 17.25 sq. ft. to 21.5 sq. ft.
See the whole hide and a size comparison with a soda can. This 12.25 sq. ft. hide is 64.25" long by 22.5" wide. R-334-TR-SD4 4 to 5 oz. This 36.75 sq. 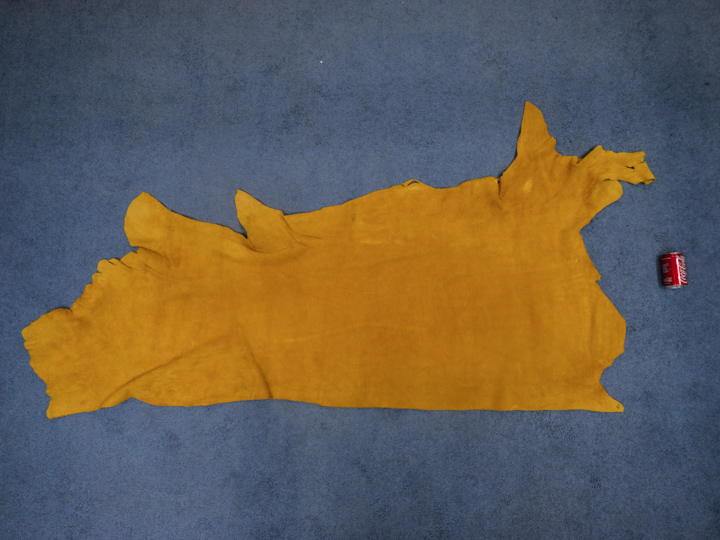 ft. hide is 69.5 " long by 67.75" wide and weighed 8.20 pounds. R-334-TR-TB3 3 to 3.5 oz. 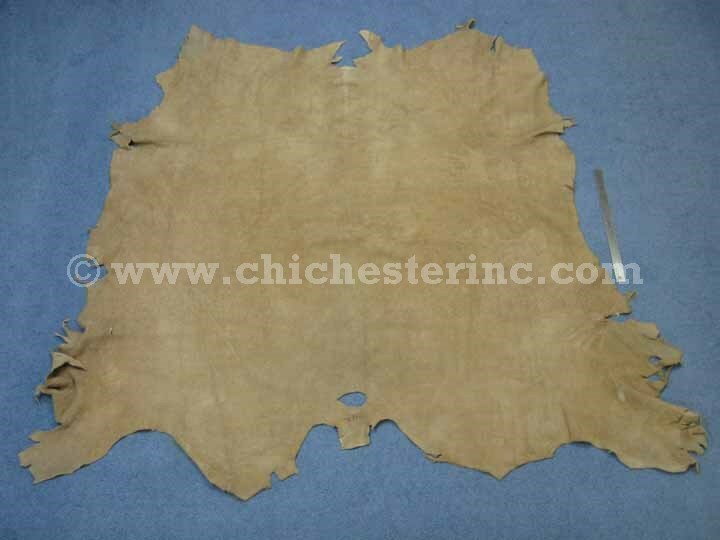 The tobacco hides range in size from 18.5 sq. ft. to 28 sq. ft. 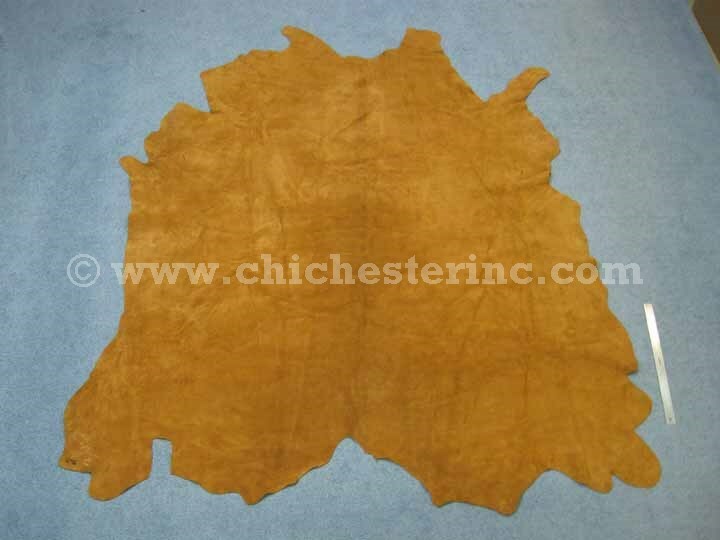 The tobacco hide is 27.75 sq. ft. and 100" long by 37" wide. This 32.5 sq. 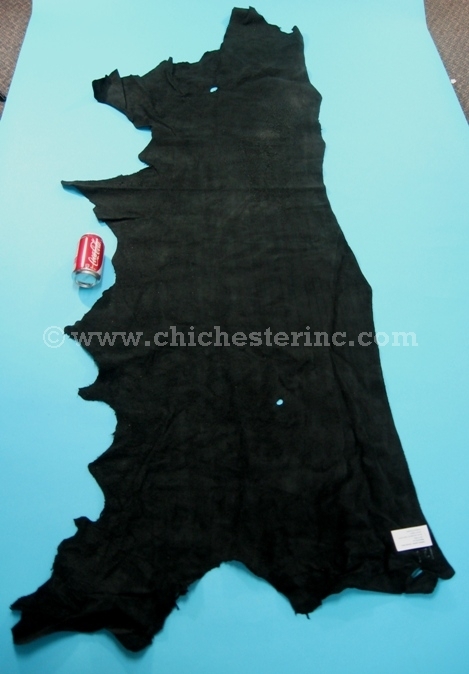 ft. hide is 58" long by 68.5" wide and weighed 8.26 pounds. R-334-TR1-PG3 3 to 3.5 oz.